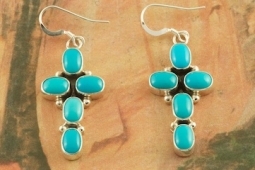 Beautiful Cross Earrings featuring Genuine Sleeping Beauty Turquoise set in Sterling Silver. The Sleeping Beauty Turquoise Mine is now closed. The stones are now obtained from private collections. The Sleeping Beauty Turquoise mine is located in Gila County, Arizona. 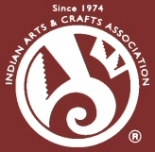 Created by Navajo Artist Lucinda Linkin. Signed by the artist.